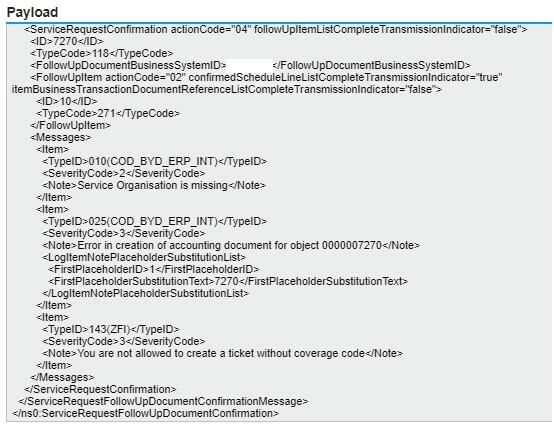 Since the 1802 release, SAP has introduced a new functionality for error handling within a work ticket. 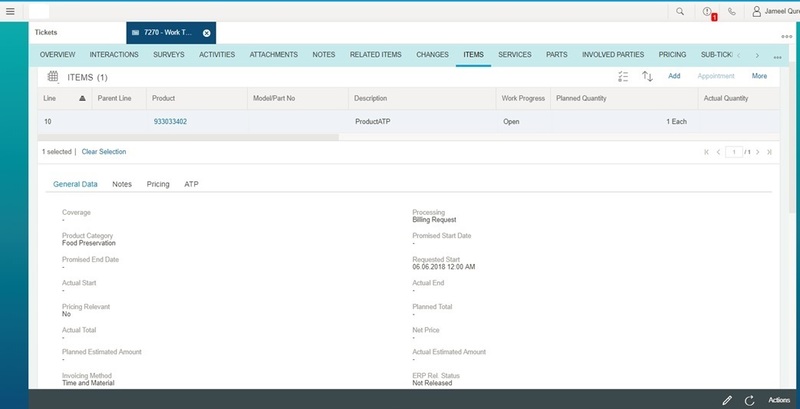 In case of an error, while releasing the work ticket to SAP ECC, the error messages generated by SAP ECC can be displayed in the user interface in SAP Cloud for Service, allowing a user to correct the data directly in the source system SAP Cloud for Service. Details of the required implementation are documented in the What’s New Section for 1802 which is available here. 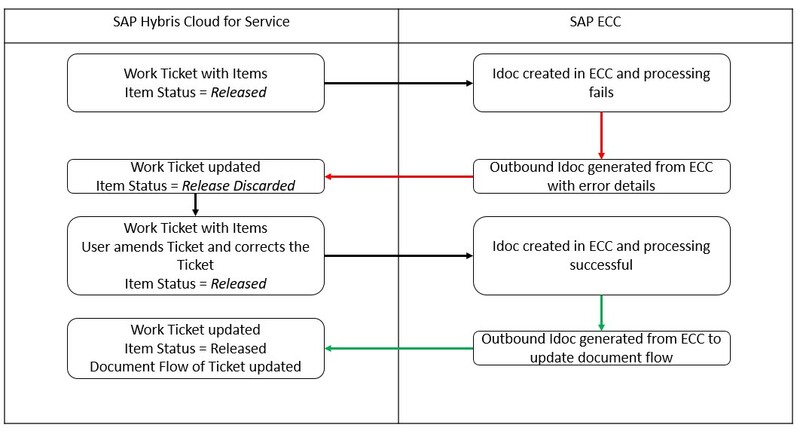 As you can see, the error messages displayed in SAP Cloud for Service are coming from SAP ECC standard Idoc error messages. The above process is applicable for any documents created via standard code. In cases where custom implementation is done on SAP ECC, a similar logic could be applied to trigger the outbound Idoc back to C4C. I have a question here for this standard process. In ERP, Can we trigger this Outbound IDoc based on some validation? 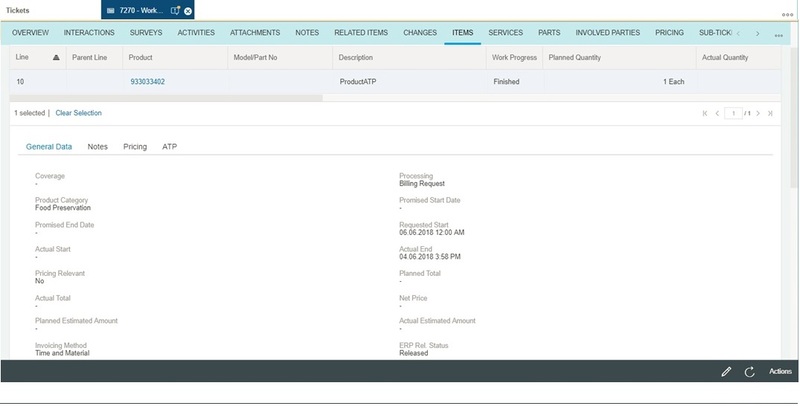 For Example: If the Follow up document is created successfully in ERP, However in some case we need to reject the line item create in this document. Can we, after reject this line item, trigger outbound Idoc to behave the same as Outbound failed? What we need is that when the line item is rejected, the C4C line item status is release discarded so that we can change on it. In ERP, you can trigger the outbound Idoc back to C4C as you proposed. If you look at the payload structure in Step 5, that will give you the important details you need to know. In the payload, the Item ID, and SeverityCode are the two parameters that determine which item can be rolled back for editing i.e. to roll back you need a severity code of 3. 3 = error, 2= warning, 1= information. Providing this comes from ERP, then C4C will handle it accordingly. Did you know what is the Function that can be used to trigger the Outbound IDoc back to C4C? Error handling is the first priority that must be given to a code because if an error is not handled with the exception then you will get an error and the whole code will fail. The post will help you to understand it. Visit error code 0xc00000f to know more.